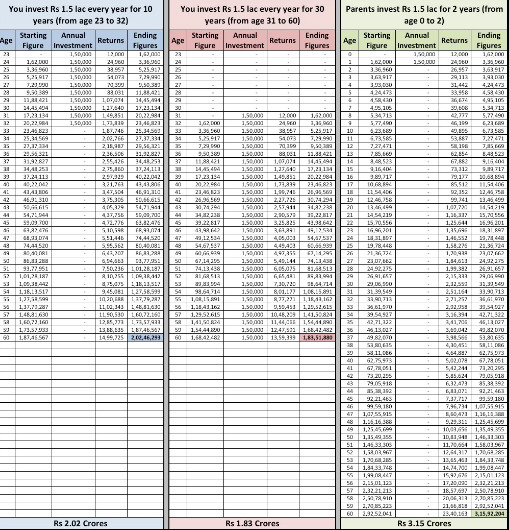 How to Retire Early by Using Power of Compounding? Just thought to tell you the effect of compounding with an image as a picture speaks louder than 1000 words. Go through this image and imprint it in your mind as it can help you retire early in life. As we can see from the image that 1% increase every day for the next 365 days (just 1 year) translates into an increase of 3678% (compounded increase) and not just 365% (which is simple increase). Similarly, 1% decrease every day for the same 365 days reduces the value by 97.4%! Have a look at below image to understand the power of compounding. Thus if you dream to chuck the 9 to 5 job; than you have to get cracking now as early you start the better it is and you achieve your financial dreams. Still wanna achieve your financial goals early; than use our genuine stock market advice and start trading like professionals.